Dr. Scott Shamblott talked about his book, Fear-Free Dental Care: Finding a Dentist You Can Love, on Twin Cities Live on KSTP-TV. 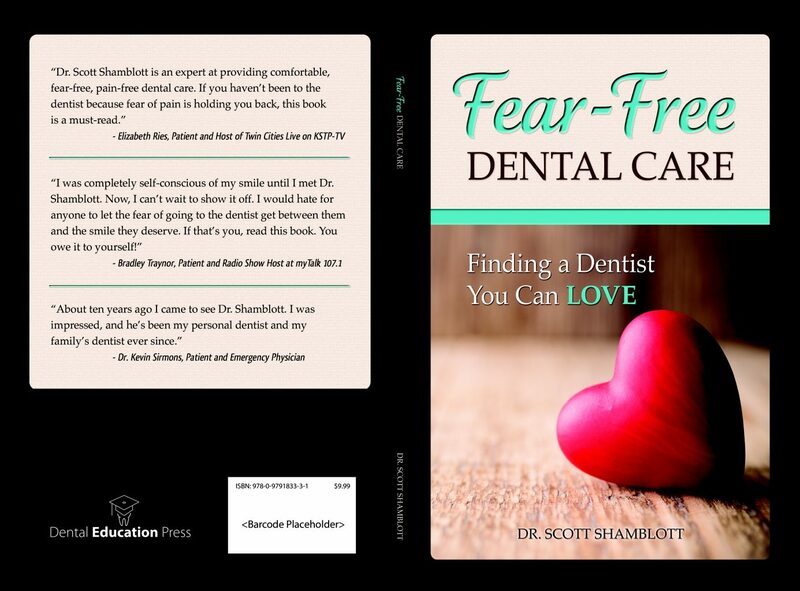 In the book he describes his gentle approach to helping his patients work through dental fear until they can actually enjoy visiting him at Shamblott Family Dentistry, Dr. Shamblott’s dental practice in Hopkins, MN. Who is Fear Free Dental Care For? 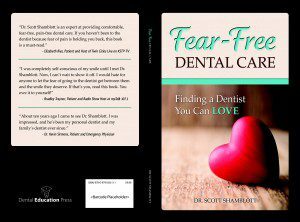 Conceived to help the millions of people in the U.S. who fear going to the dentist, this book looks at the causes and effects of dental phobia, offers a self-test to help you gauge your level of fear and provides solutions to help those suffering from dental fear work through and eventually overcome their fears. It reviews all facets of fear-free, pain-free dentistry and offers useful tips that every patient can use. If you’re afraid of the dentist, or know someone who is, this book is for you. It?s a quick read and is filled with useful tips on finding a dentist and surviving your visits to your dentist. Elizabeth Reis, a patient of Dr. Shamblott?s and host of Twin Cities Live says, Dr. Scott Shamblott is an expert at providing comfortable, fear-free, pain-free dental care. If you haven’t been to the dentist because fear of pain is holding you back, this book is a must-read. The book guides prospective patients through the process of finding a dentist they can love. It features stories of patients overcoming their own fears. It provides tangible things you can do to find a dentist who will listen to you and help you work through your fears. Dr. Shamblott says “One of the things I love most about dentistry is when I can help a patient who is afraid to walk in the door, and make her comfortable in the dental chair. One of my former high-fear patients was laughing and joking with my staff at her last visit. That’s something she could never have done when she first started coming to see me. Now, she looks forward to her visits and is excited to see us. And that leads to better dental health, and better overall health. It’s very rewarding to see her experiences and see how much progress she has made. I hope this book will help other patients in the same way. “I was completely self-conscious of my smile until I met Dr. Shamblott,” says another patient, radio host Bradley Traynor from myTalk 107.1. ?Now, I can?t wait to show it off. I would hate for anyone to let the fear of going to the dentist get between them and the smile they deserve. If that?s you, read this book. You owe it to yourself! ?